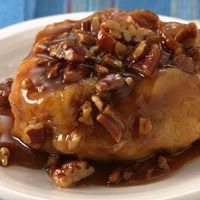 Buttery caramel roll topped with butter pecans. At least a week steep. Had to go with some outside the normal flavor companies to get what I wanted...but is exactly where I want it to be.